I think AI is akin to building a rocket ship. You need a huge engine and a lot of fuel. If you have a large engine and a tiny amount of fuel, you won’t make it to orbit. If you have a tiny engine and a ton of fuel, you can’t even lift off. To build a rocket you need a huge engine and a lot of fuel.The analogy to deep learning is that the rocket engine is the deep learning models and the fuel is the huge amounts of data we can feed to these algorithms. 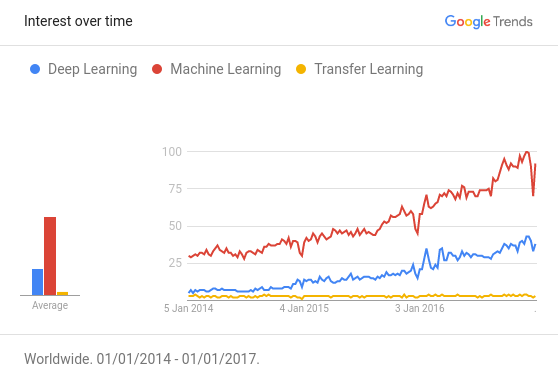 There has been a recent surge in popularity of Deep Learning, achieving state of the art performance in various tasks like Language Translation, playing Strategy Games and Self Driving Cars requiring millions of data points. One common barrier for using deep learning to solve problems is the amount of data needed to train a model. The requirement of large data arises because of the large number of parameters in the model that machines have to learn. There is an interesting almost linear relationship in the amount of data required and the size of the model. Basic reasoning is that your model should be large enough to capture relations in your data (eg textures and shapes in images, grammar in text and phonemes in speech) along with specifics of your problem (eg number of categories). Early layers of the model capture high level relations between the different parts of the input (like edges and patterns). Later layers capture information that helps make the final decision; usually information that can help discriminate between the desired outputs.Therefore if the complexity of the problem is high (like Image Classification) the number of parameters and the amount of data required is also very large. Transfer Learning to the Rescue! When working on a problem specific to your domain, often the amount of data needed to build models of this size is impossible to find. However models trained on one task capture relations in the data type and can easily be reused for different problems in the same domain. 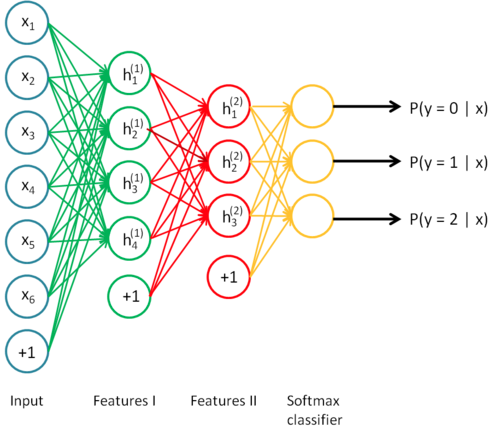 This technique is referred to as Transfer Learning. Transfer Learning is like the best kept secret that nobody is trying to keep. Everybody in the industry knows about it but nobody outside does. Referring to Awesome — Most Cited Deep Learning Papers for the top papers in Deep Learning, More than 50% of the papers use some form of Transfer Learning or Pretraining. 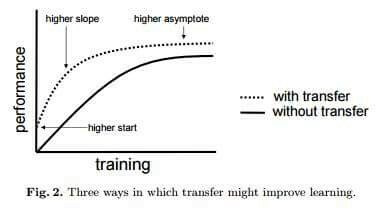 Transfer Learning becomes more and more applicable for people with limited resources (data and compute) unfortunately the idea has not been socialised nearly enough as it should. The people who need it the most don’t know about it yet. If Deep Learning is the holy grail and data is the gate keeper, transfer learning is the key. Another major advantage of using transfer learning is how well the model generalizes. Larger models tend to overfit (ie modeling the data more than the underlying phenomenon) the data and don’t work as well when you test it out on unseen data. Since transfer learning allows the model to see different types of data its learning underlying rules of the world better. We see a reduction in number of parameters from 1.4*10⁸ to 4*10³ which is 5 orders of magnitude. 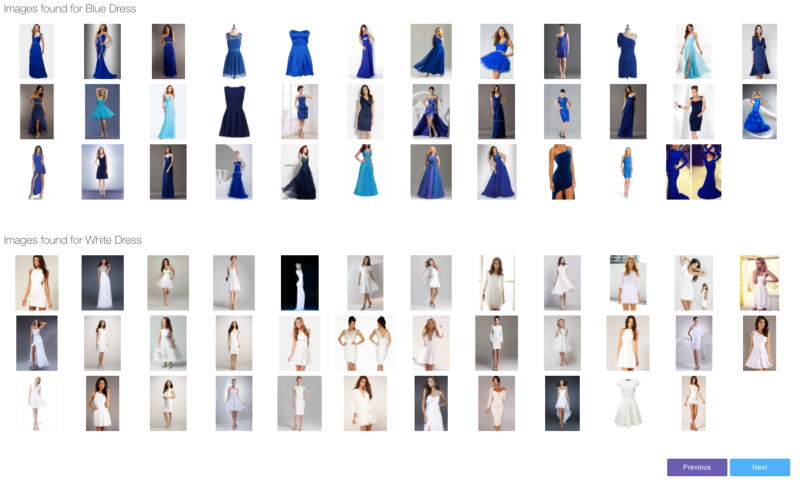 So we should be fine collecting less than hundred images of dresses. Phew! 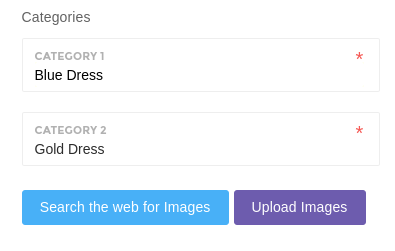 If your impatient and can’t wait to find out the actual color of the dress, scroll down to the bottom and see how to build the model for dresses yourself. Since we only have 8 labelled sentences (sentences that have sentiment associated with them) we first pretrain the model to just predict context. 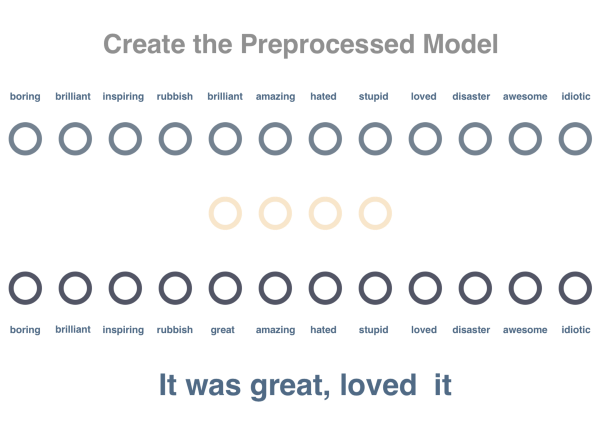 If we trained a model on just the 8 sentences it gives a 50% accuracy (50% is as good as flipping a coin to predict). To solve this problem we will use transfer learning, first training a model on 62 sentences. We then use a part of the first model and train a sentiment classifier on top of it. Training on the 8 sentences it produces 100% accuracy when testing on the remaining 2. We will train a net to model the relationship between words. We pass a word found in a sentence and try to predict the words that occur in the same sentence. Here in code, embedding matrix has size of vocabulary x embedding_size which stores a vector representation of each word (We are using size 4 here). 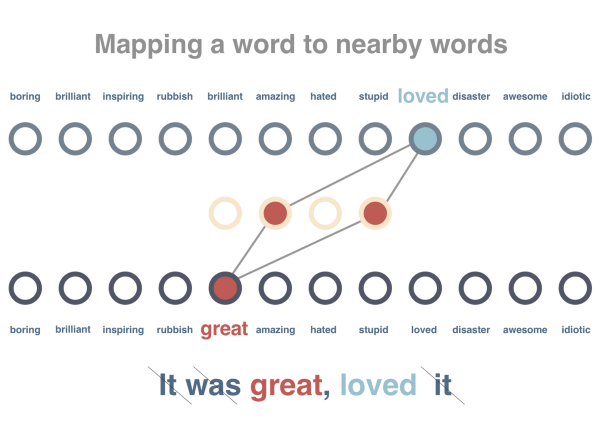 We will train this graph such that words occurring in similar context should get similar vector representations. We will preprocess these sentences by removing stop words and tokenizing them. We pass a single word at a time and try to minimize distance of its own vector to surrounding words and increase the distance to a few random words not in its context. Now we will try to predict the sentiment of a sentence. Where we have 10 (8 training + 2 test) sentences labelled positive and negative. Since the previous model already has vectors learned for all the words and the vectors have property of numerically representing context of word this will make predicting sentiment easier.Instead of using sentences directly, we set the vector of the sentence to the average of all out its words (in actually tasks we would use something like an LSTM instead). The sentence vector will be passed as an input and the output will be score of being positive or negative. We will use one hidden layer in between and train model on our labelled sentences. As you can see, only on 10 examples of each, we have achieved 100% test accuracy using this model. 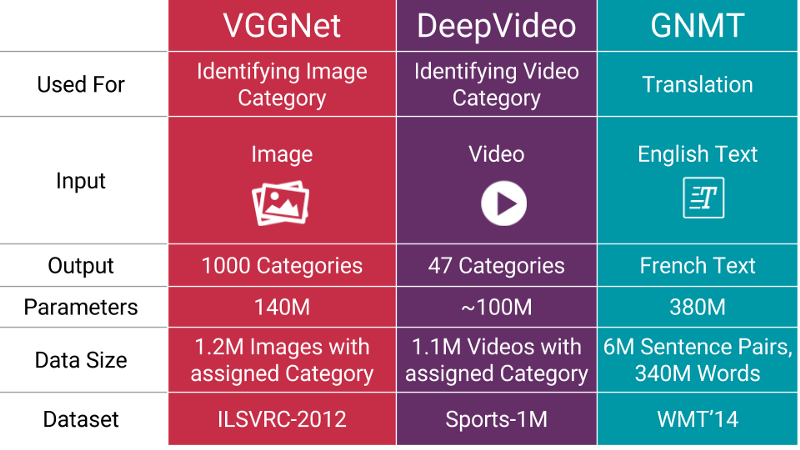 Image Enhancement, Style Transfer, Object Detection, Skin Cancer Detection. Even though it takes less data to build a model it requires significantly more expertise to make it work. If you look at the example above, just count the number of hard coded parameters and imagine having to play around with them till the model worked. 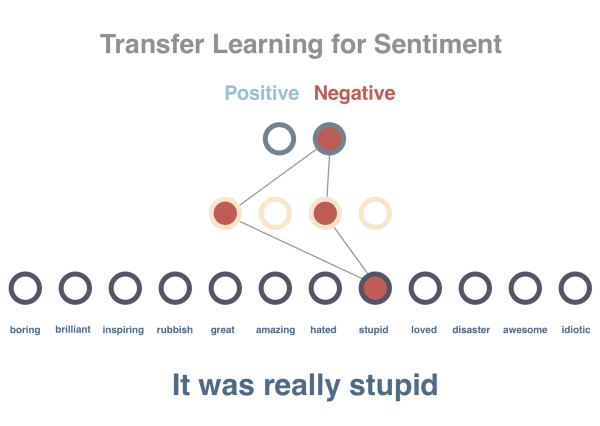 This makes actual usage of transfer learning tough. Having personally experienced these problems we set out to solve them by building an easy to use cloud based Deep Learning service that uses Transfer Learning. It contains a set of pretrained models that have been trained on millions of parameters. You upload your own data (or search the web for data), it selects the best model to use for your task, creates a new NanoNet on top of the existing pretrained model and fits the NanoNet to your data.